When a pupil leaves the school you can archive them in Insight by setting a leaving date. Once archived a pupil won't be included in cohort reports, but you'll still be able to view their individual report page (just search for them by name in the search bar). 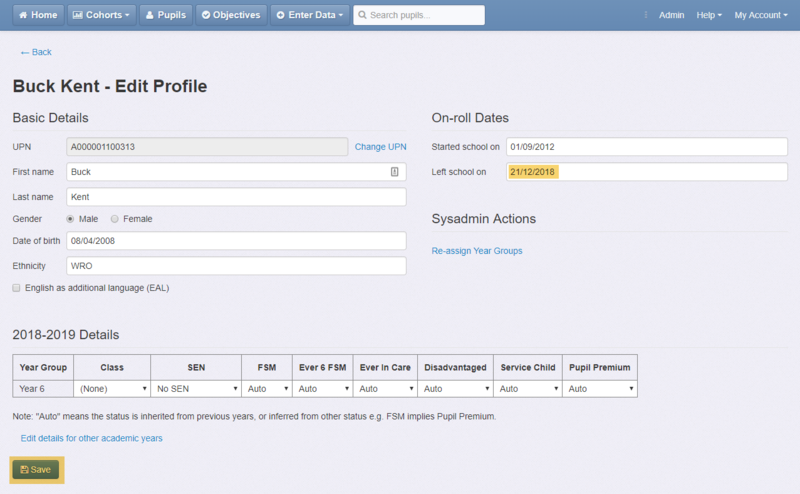 You can run the Update Pupils process at any time to sync your pupil roll from your MIS. This will automatically archive any children who are no longer in the school.